This manual press brake shear combo is perfect for small arts and crafts projects where a bigger machine wouldn’t be as efficient. The SB-8 packs high value into a compact design. 18 gauge aluminum maximum capacity. Maximum capacity of 20 gauge copper and brass. 7-7/8” blades on the shear. 90° maximum bend angle lets you make perfect corners. Includes a back gauge for easy repeatability. Just set the depth and tighten it. Convenient size of this small metal shear lets you mount it to your benchtop. 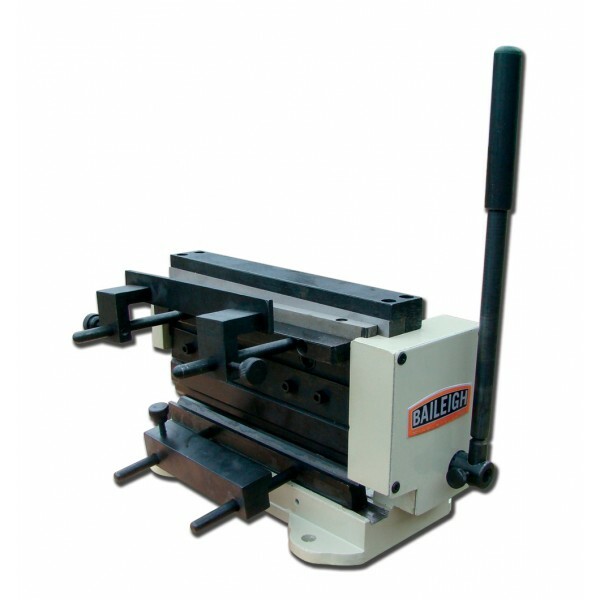 Durable steel frame helps this combination machine last for years and deliver accurate results. 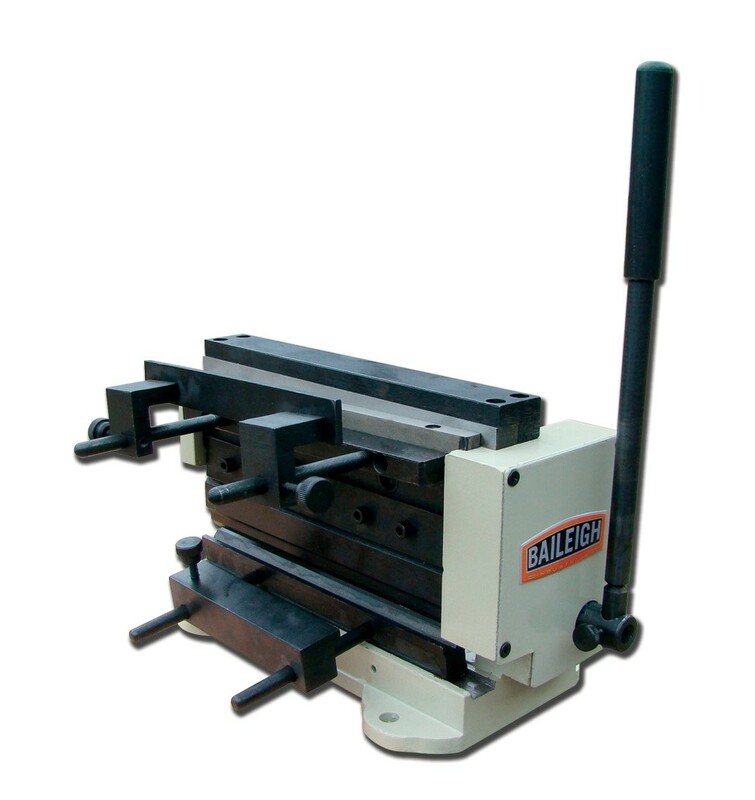 Weighs just 27 lbs., so you can take the small press brake and shear with you anywhere. Call our team of machine experts any time for lifetime technical support by phone. Recommended for: Hobbyists and small shops that make one-off projects or limited runs. Questions? Not sure which combination machine is right for you? Call us at 1-920-684-4990 and talk to a Baileigh expert.